Ryan began his career at Luton Town, having been with the club as a schoolboy since the age of 9. After two successful seasons in the youth team as a striker / winger, he made his Hatters first team debut against Southend United in a League 1 game in March 2008 and a full first team debut against Carlisle United in the following game. He went on to make six starts in the remainder of that League 1 season. As the Hatters dropped into League 2 and then the Conference, his opportunities were limited by injury, as well as a number of managerial changes at the club. During his time at Luton, he went on loan to Hitchin Town and Hinckley United and in March 2009, went on loan to Kettering Town, before going on a one month loan to Kidderminster Harriers the following season in November 2009. 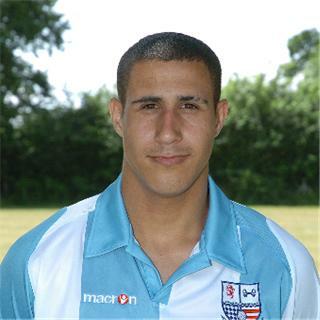 He was released by Luton at the end of the season, and joined Diamonds on 1 July 2010. He made his Diamonds debut as a substitute in the 1-1 draw against Fleetwood Town on 14 August 2010 and made his full debut on 21 August at Barrow. He scored his debut goal for the Diamonds on 28 August 2010 in the 4-1 victory over Grimsby Town. And went on to make 44 appearances, although 19 of those were off the bench. He had the honour of scoring Diamonds last ever goal – an injury time winner against old rivals Kidderminster Harriers. On 14 June 2011 he signed a one year deal with Cambridge United, but went out on a loan deal to fellow Conference side Newport County on 6 January 2012. On his return to Cambridge at the end of the season, Ryan was released and eventually signed a one year deal with Newport County on 17 June 2012, but he was released from his contract by mutual consent on 5 February 2013. Two days later, Ryan joined Southern League Premier side Hemel Hempstead Town, but after just 6 appearances for the Tudors, he moved to Conference South side Bath City on 5 March 2013. After just 8 appearances however, Ryan returned to Hemel Hempstead Town in mid-April to assist their campaign for promotion, scoring twice in the play-off semi-final. He left the Tudors in the summer, and signed for Southern League Premier side Frome Town in August 2013. Ryan moved to Southern League Division One South & West side Merthyr Town on 9 October 2013, assisting them to the Play-Offs, but left at the end of the season. Although it was reported on 6 June 2014 that he had joined Isthmian Premier side Billericay Town, the announcement turned out to be premature and he subsequently joined Conference South side Bishop’s Stortford on 25 June 2014, but his appearances the following season were for Chesham United and Berkhamsted. Now known as Ryan Laville he went on to play for a number of local clubs in Hertfordshire and Buckinghamshire, including Leverstock Green and Bovingdon before retiring from the game.